Once again this summer season sees a range of food and food tourism events taking place all around the Lough Derg area. 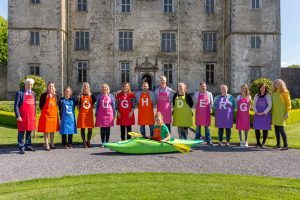 We are very fortunate to live in such a wonderful area and recently many of the promoters who operate along the Lough Derg Blueway gathered together in the majestic sunshine in the even more majestic Portumna Castle to launch this year’s programme. Events this summer include Tapas Nights, Meet the Cheesemaker, Yoga in Nature, Chocolate Making and Mindful Bread Making! Here at Fuchsia Lane Farm we are delighted to be hosting Mindful Bread Making which is being run in conjunction with our son and his new business, Abbey Bread. He recently won the National Student Enterprise Award for this venture and we hope you all get to enjoy some of this famous bread here on August 2nd. 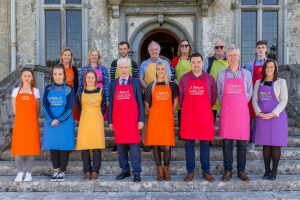 The Taste of Lough Derg 2018 programme was launched by Sinead Hennessy, Failte Ireland’s Food Tourism Officer as well as Mr Joe McGrath, chairman of the Lough Derg Marketing Group.